After listening for the first few chapters, I decided to switch to paper version. 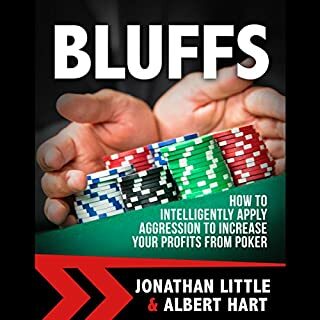 While the content is genuinely solid poker advice, the logic and especially the hand examples are almost completely impossible to follow when listening. It is frustrating. Very interesting book. A bit hard to follow as an audio file. I may still pick up a hard copy as a reference. 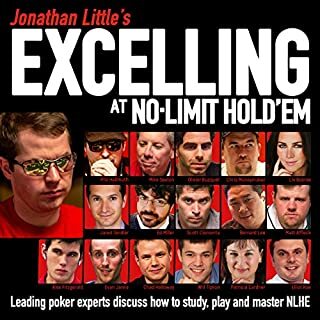 The material covered in this book not only deals with poker, but how to be successful in life. I definitely have my fair share of "life leaks" I need to plug in order to be successful. The concepts addressed in this book requires a lot of practice. Like he said, patience and persistence are required in order to implement his strategies successfully. I did like this book. 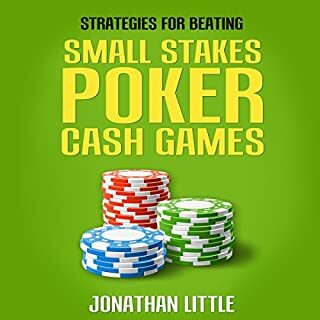 Many great points and strategies for a cash game. I did find myself getting lost when he talked about various scenarios....most likely my lack of concentration. Would you try another book from Jonathan Little and/or Jonathan Little? Would you ever listen to anything by Jonathan Little again? 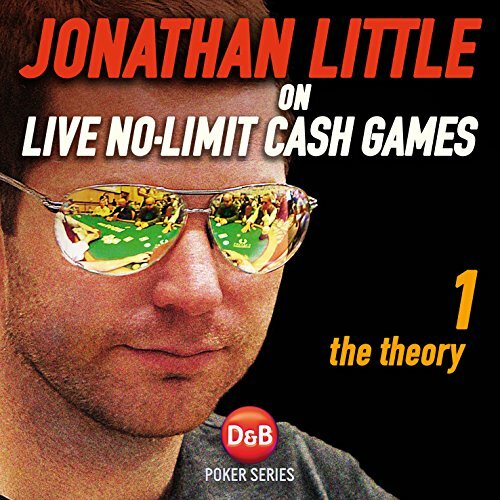 What character would you cut from Jonathan Little on Live No-Limit Cash Games, Volume 1? His technique is not wrong. It is just an gross over-complication of basic knowledge and techniques. For example, a simple calculation of outs can give you a % calculation of say 20% in less time than it took me to type this one sentence. Jon's calculation requires you to input so many numerical variables that takes 3 times as long in order to get you a more exact 18.9%. If you have played live games long enough, you'd know a decision based on 20% vs 18.9% odds will result in the same decision 99/100 times. So why put yourself through such an equation, when there are so many more factors to take into account?!?! If you like to curl up to a good Algebra book in the evening, then maybe this book is for you. 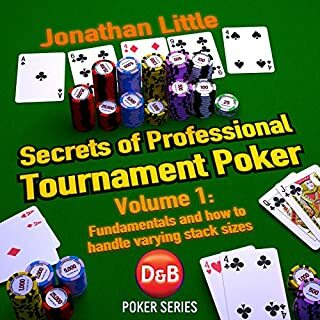 Otherwise, if you like to play poker and want to learn how to make more money playing a game you like - you should probably try books by Kid Poker or Doyle. 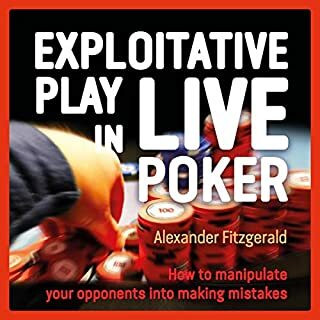 I have played for decades and was looking to find either an advanced book on poker, or at least an insight as to the minds of the "newer" players. I'm "black coffee." Jon is a "tall red eye in a grande glass, hold the shot." - - - Same thing, but Jon's took a while to get there. Again - not wrong, just over complicated. Enjoyed this very much. Can't wait for Excelling!! All hand history examples given were easy to follow once he began going depth. 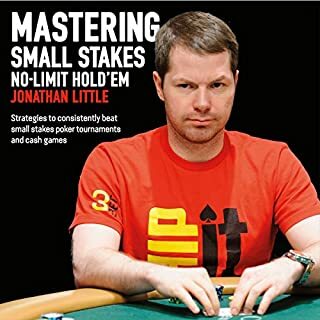 I would recommend this book to any poker player. I got a lot of new and useful thoughts and ideas out of it. It will take a few chapter to get used to the speed of talking cards but stick with it. I gave the book 4 stars because a descent amount of the first half drags and seems repetitive. Good book though. Must have if you are serious about cash poker. This is so good it's not funny. It's had reinvigorated my love for the game.